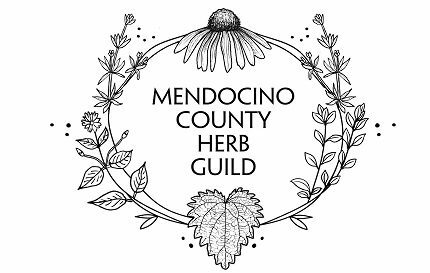 2) December 8th Mendocino Guild Herbal Craft Fair – all guild members (coast or inland) are welcome to participate. Table space is $30 and you can share a table (tables and chairs provided) – come sell your products: medicines, teas, books, fiber art, wreaths, plant crafts, seeds/starts, honey products etc. The guild will have it’s own info table as well. After rental expenses are covered, any profit from table fees or donations go to the guild. As a seller, you can keep your profit or donate a percentage to the guild. It is not too early to start advertising this event and please consider being a vendor. Pocket flyers for the fair can be distributed by Sakina at the FB indoor winter market. She also suggests the guild has a info table at this market to keep connecting with the public about our vision, needs etc. 4) Glysophate Action Group is open to all who are interested in getting glysophates banished from this county. The focus will be on educational outreach and the first meeting will in January sometime – Sakina will send out an announcement about meeting date/time. In the meantime stay informed and collect info and websites that you think would be helpful. 5) Don’t forget the Herb Guild Harvest Dinner is Nov 16th from 5-9pm at The Little Lake Grange, 291 School Street, Willits. Corine Pearce and Donna d’Terra will be speakers and there will be vendors, herbal products besides a delicious dinner – info on the website: http://www.mendocinoherbguild.com/ also stay connected through the facebook page. Finally, Your participation on any level is what keeps the vision of full-circle bioregional herbalism, education, sustainable farming, free or low-cost clinics and locally made products possible. There will be no Coastal Guild Meeting in December except to meet you at the Craft Fair!